What can be rightfully touted as world?s biggest celebration of Indian cinema on an international platform, the International Indian Film Academy (IIFA) Awards is back with bang this year donning a brand new color, literally. For the first time, Viacom18?s Colors will be the broadcaster of the 16th annual IIFA Awards with Kuala Lampur as its stage. And that?s not the only thing new about this edition of Bollywood?s biggest international extravaganza. From exciting fashion debuts on the ramp, business conferences, to digital audience getting no-holds-barred access to all the Videocon d2h IIFA Weekend action through their phone apps -- here are a list of all things new that make IIFA 2015 a never before seen experience. After Star and Sony, it's time now for Colors to give its unique touch to IIFA Awards 2015 as the official broadcasting partner. Expressing his excitement over this collaboration, actor Anil Kapoor rightly puts, ?One can only expect something spectacular when you have creative minds like Raj Nayak from Colors and Andre Timmins from Wizcraft come together for a single cause.? And spectacular it shall be, promises Colors CEO Raj Nayak. ?We at Colors believe in delivering content in our own unique style and IIFA Awards is no exception. To achieve this our creative team has been constantly working together with Wizcraft in every aspect of the show including the weekend activities. With all the efforts that has been put in to scale up the show, we are sure that this year?s IIFA is definitely a can?t miss event on the calendar,? he said. IIFA Awards 2015 has come up with the best way to reward its worldwide netizen fans by connecting them with all the action in Kuala Lampur, without any lag or delay, through the popular VOD platform #Fame. ?For the first time ever in the history of IIFA awards, millions of viewers can catch all the action on their phone live and uncut, and even get to interact with the top stars in real time. Available in beta on iOS and Android, the app will allow performers to beam live to the fans and audiences through their smartphones,? informs #fame CEO Saket Saurabh. The spunky duo of Ranveer Singh and Arjun Kapoor from Gunday are to reprise their awesome repartee and chemistry, as the hosts of the IIFA Awards this year. With these two boys on board, the film fraternity can expect the entertainment quotient to go up by several notches. The promos released on Colors show the two dressed as ascetics pining for redemption after their nationwide ?roasting? session. When asked about that, Kapoor jokingly says that IIFA is the right platform for them to redeem their lost reputation after their notorious appearance in the AIB Knockout Roast session, which caused such a sensation. Count on them to leave no stone unturned to complete your dose of mischief, humour, and repartee that will leave you in splits. When you think award show, you think red carpet, and any red carpet event?s highlight is fashion. IIFA 2015 not only promises you a glammed up red carpet event, but it will also host the IIFA Fashion Extravaganza with hosts Neha Dhupia and Vivek Oberoi. The show will feature well-known names in the fashion circuit like Masaba Gupta who will showcase her line inspired by the golden IIFA trophy, Rocky S who is going monochrome this season, and Gaurang Shah, with his debut IIFA collection. The Dabangg actress Sonakshi Sinha, who will soon be seen as a judge in Indian Idol Junior is all set to make her singing debut at Kuala Lumpur, Malaysia. Yes, you heard us right! Sinha will sing live at the IIFA Rocks musical extravaganza. 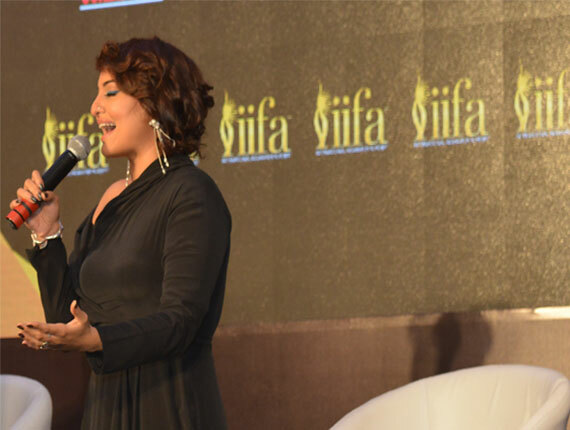 Sinha confessed that singing at IIFA would be a dream come true for her. ?I must thank from Wizcraft for letting me do this at such a huge platform as IIFA,? she said, adding that the audience can expect some powerful performances from the B?town ladies at the show. Hosted by actors Ayushmann Khurrana and Parineeti Chopra, IIFA Rocks, an exclusive music extravaganza, will see a host of musical performances by Shankar-Ehsaan-Loy, Mika, Ankit Tiwari and Kanika Kapoor amongst others. 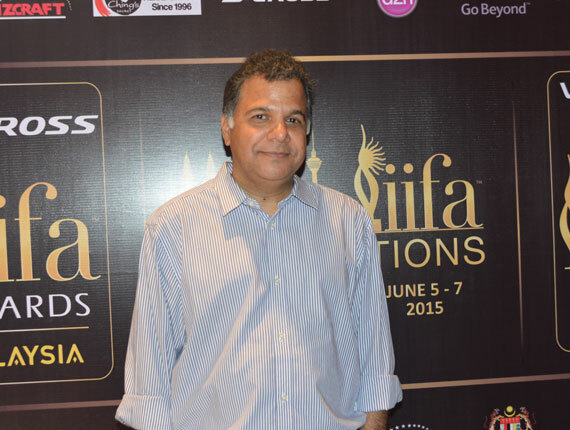 Want more exciting updates on the behind the scene fun at the IIFA awards? Stay tuned to Exec Life!